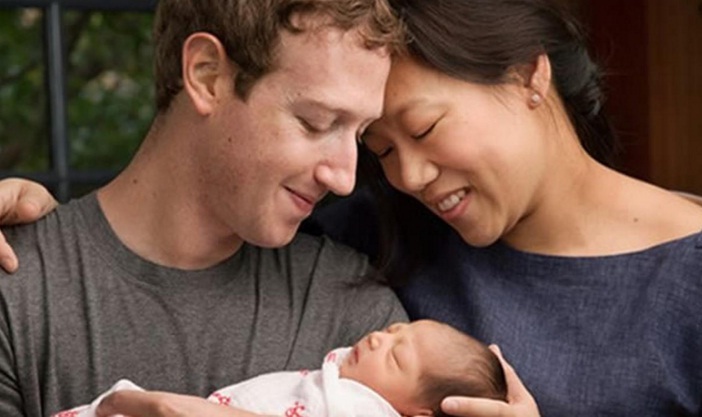 It’s celebration time for Facebook CEO Mark Zuckerberg and his wife Dr.Priscilla Chan as they welcome their daughter in this world. The baby girl was named Max by her parents, Mark and Chan. They confirmed the arrival of their newborn on social media along with a picture of the couple holding their newborn baby. A photo posted as a Facebook post by Mark. Mark Zuckerberg wrote a letter to his daughter, Max on this occasion. He wrote to his daughter that her (Max) life is full of promises and hoped that she would be healthy and happy. He assured her that although the news headlines have negative colors, her world will be better. Fields like healthcare and technology are progressing. Mark started an initiative and also announced that he would give 99% of his Facebook share to improve the life of children all over the world. The 99% of his Facebook stock would sum up to $45 billion.